Wild ginger or winter heliotrope? 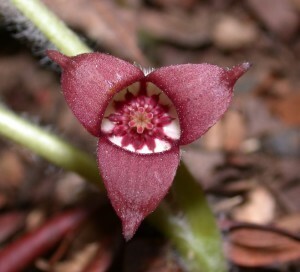 Wild ginger (Asarum canadense) or winter heliotrope (Petasites fragrans)? 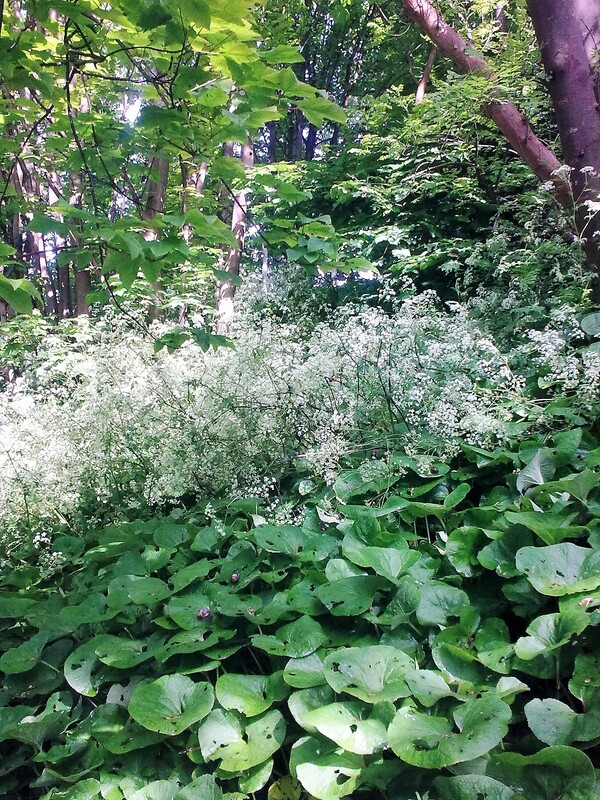 What is the ground cover plant on the New England embankment? 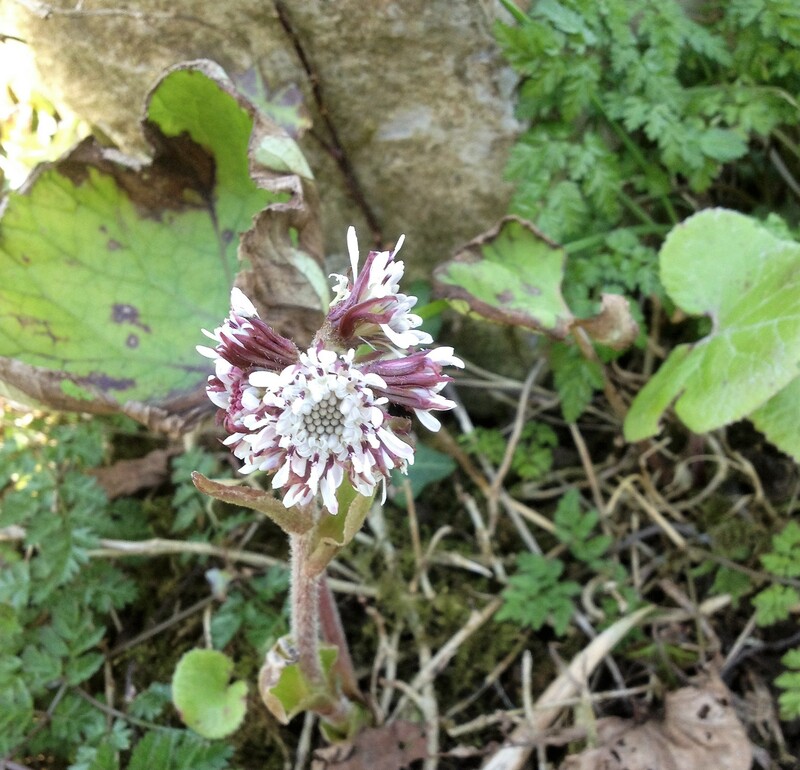 I said it was wild ginger; others insisted – rightly as it turns out – that it was winter heliotrope. It makes sense: European wild ginger doesn’t have the large leaves and as for the Canadian form – it (obviously) tends to prefer North America. The large heart-shaped leaves of both plants tend to look similar; it was the flowers that made me think again. The Canadian form has funny tricorn flowers, while the winter heliotrope flowers reveal a similarity with coltsfoot (Tussilago farfara). It is easy to miss the winter heliotrope flowers, which is perhaps why I have been so pig-headed in claiming it was wild ginger. What I haven’t noticed is the ‘fragrans’ – apparently a scent of vanilla. As Petasites fragrans bears absolutely no resemblance to the beautiful old-fashioned garden perennial called Heliotrope (Heliotropium arborescens), I’m assuming its common name marks the similarity in the perfume. Though the flowers are often over by early March, it’s worth taking a walk up the steps to Brighton Greenway to see if you can see or smell them. Winter heliotrope is in fact a non-native plant, introduced like many in the 19th century, and highly invasive. According to the National Biodiversity Network plant profile, it provides nectar for insects in the early part of the year but is a threat to biodiversity in excluding all other vegetation once it takes hold.